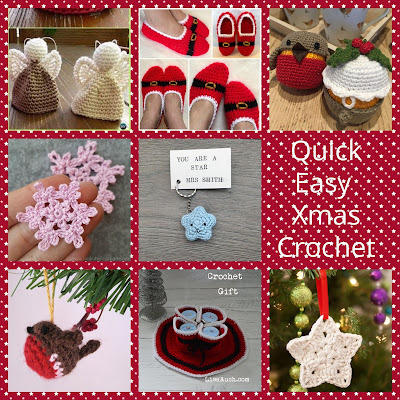 I have been asked lots of times for this crochet pattern. 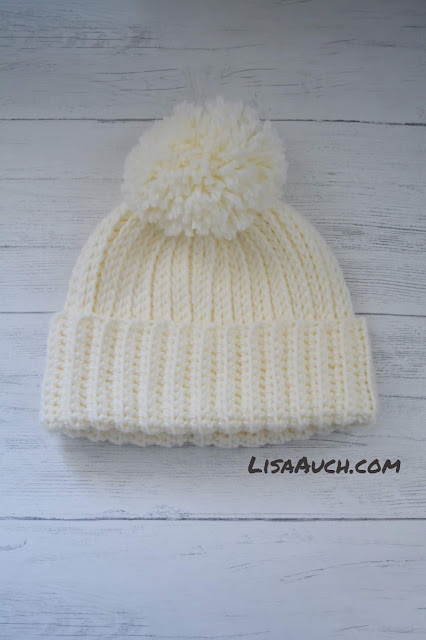 It is a little baby hat I crochete dwhen I first started out and posted my finished hat online. Being Warm at this time of year is essential. 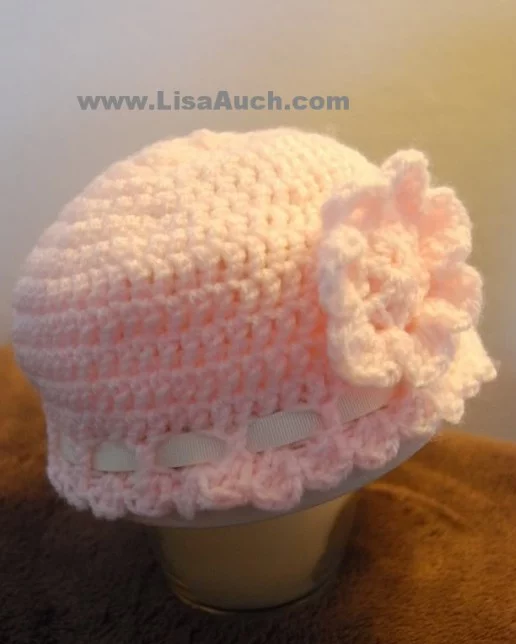 I find a lot of the basic crochet hats quite drafty. Here in South West Scotland winds are strong and it's chilly. 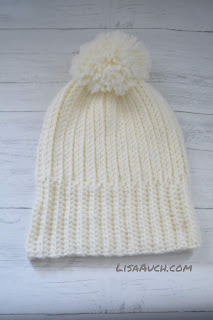 SO I am always looking for a good thick warm hat. It makes it even better when its a fast, easy pattern. 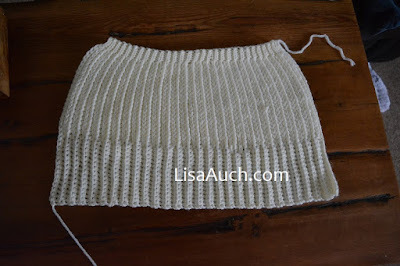 Worked in Rows, using the amazing 3rd loop stitch of the HDC aka...Camel stitch. 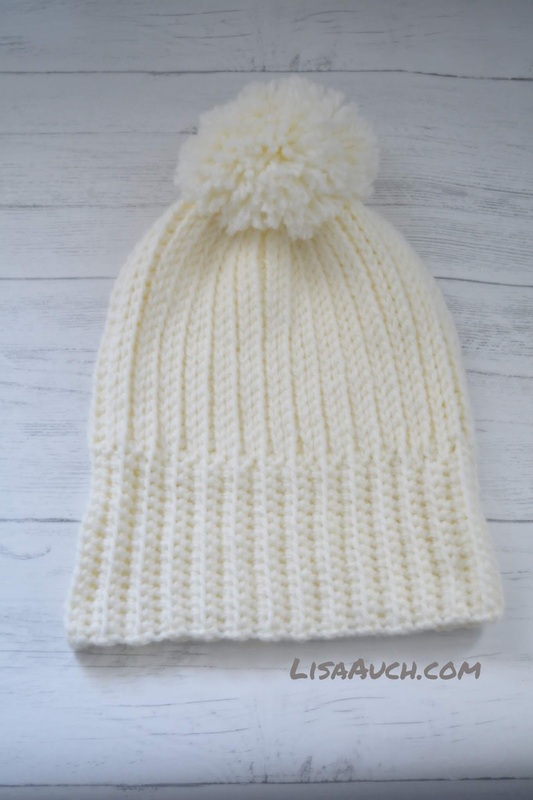 Which makes this hat look like it's been knitted. But Its definitely crocheted. Special Stitches: Camel Stitch -Easy to do by Turning a Half Double Crochet into a Knit look stitch by working into a hidden 3rd loop! Notes: Its easy to make this hat ANY size you wish. Hat Height from top of crown to bottom of ear – this will be your foundation chain. 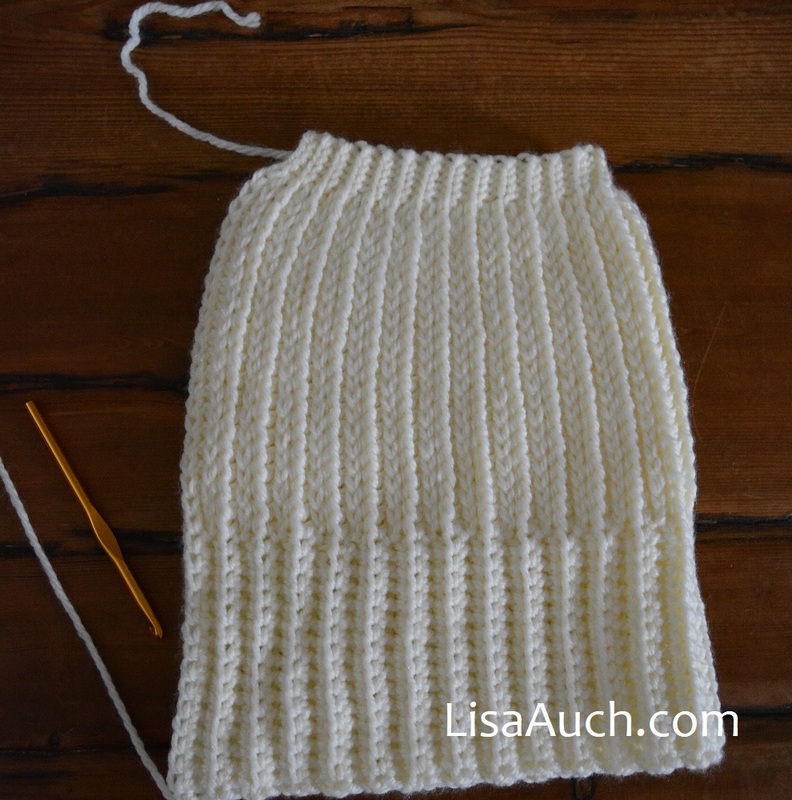 How many Stitches You HAVE in TOTAL will depend how long you wish your hat. If you want a big Turn up like mine then remember to include THAT measurement when your measuring from top of crown to under ear and then fold UP measuring tape until you have the BRIM size you want. Measure head around just above the ears. This will be how LONG you work your rows Back and Forward for until circumference measurement is reached. Working in ROWS and back loops of slip and single crochet, and working into the 3rd loop of HDC. (working into the 3rd hidden loop), camel stitch into the next 10 sts. Continue working Rows 2 and 3 until you reach desired length . Fold your Rectangle in Half and Sew up the seams together. 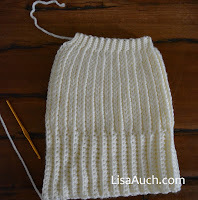 Thread your needle and close the top of the hat at the last Slip stitches and pull tight to close. Whatever type of Pom Pom you decide on sew securely to the top of your hat. As always you are Free to make and sell items you have made from the pattern. However, You Must NOT copy or distribute the pattern online TEXT OR PDF, in part or whole anywhere else without my express written permission. You can share the picture of the finished item. With a link BACK to this page. You must NOT use my pictures in any way to sell YOUR Own Finished product You will NOT put this PATTERN (whole or in part) on to ANY other SITE online without my express written permission. This post may contain affiliate links.